Posted: Wednesday 17th December 2014 in Performance Marketing, Thought Leadership. 2014 has been a big year for display. In the first half of the year alone display advertising was growing at almost twice the overall digital rate, with spend reaching £3.5bn by the end of June. 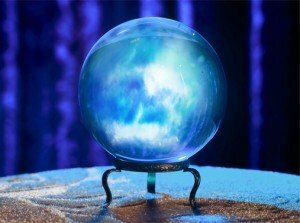 Our predictions from this time last year all rang true, with ad viewability in particular undergoing extensive development. As we round off a successful year of display advertising we begin to look ahead at what the next twelve months may bring for this burgeoning channel. Programmatic display (consisting of campaigns which are automatically triggered under specific algorithmic conditions) is now forecasted to account for nearly half of digital display ads in 2014. This will continue to grow as more and more advertisers and brands better understand and utilise the many levels of programmatic buying. The popularity of mobile and video is set to continue moving into 2015 with both being traded more frequently programmatically. Forecasts predict that by 2019 39% and 55% of online display advertising will be represented by mobile and video respectively. However, we will have to wait a little longer before this is applicable to TV. With consumers becoming more concerned about privacy, and big data giants Google and Facebook becoming less data transparent, the cookie will start to crumble. As a result the use of ID targeting will become more prevalent. This will enable advertisers to reach and serve more personalised ads across devices and better meet the needs of the consumer. Ad viewability was a big breakthrough in 2014, from the ability to report the number of viewable impressions, to the creation of a viewable impression standard. The focus on ad viewability will only grow and apply increased pressure on publishers, ad networks and ad exchangers to become increasingly transparent as brands look to grow their ad viewability and overall campaign efficiencies. The utilisation of big and small data will still play a key role in display advertising in 2015. Marketers will continue to use both first and third party data to improve campaign efficiencies and creative personalisation to reach their ideal customer segment at the right time. So, another big year lies ahead. We’ll be commenting on all key developments in the display channel across 2015. If you have any questions or would like to know more about how Summit can help you make more money online contact Dave Trolle on (01482) 876876.